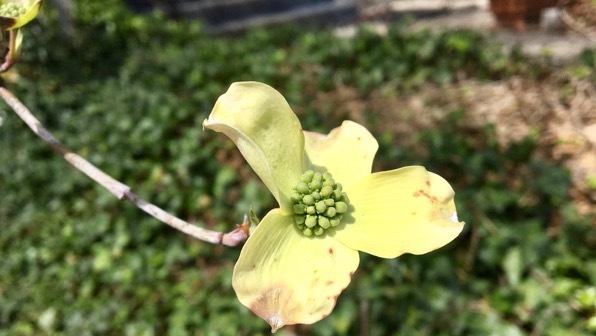 Found my first dogwood with open blossoms*! Probably they’ve been open for a couple of days, and I just found them…the tree is not in my usual area for roaming. 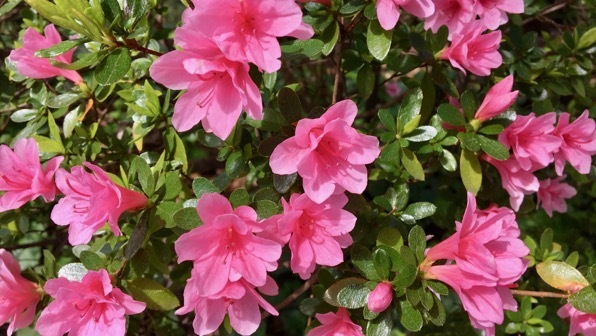 I also found a small bush of small azalea blooms of large pinkness. Cute, ¿no? * I was mentioning the other day that I hadn’t found any open buds, yet. Problem solved. This entry was posted on Tuesday, 19 March 2019 at 7:36 pm.